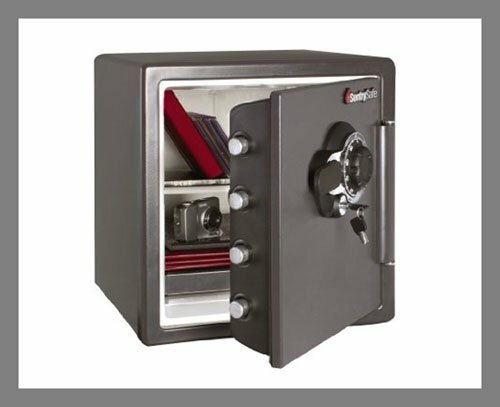 High security safes are the ideal answer when you want to protect your high value items such as cash, jewelry, a coin collection or other collectibles, guns, important documents, and other precious and valuable items. Also check that your chosen safe also carries a manufacturer’s two-hour 350 degree F fire certificate. This type of safe is tested by experts for burglar resistance using powerful tools such as sledge hammers, power saws, drills, torches, disc cutters, and even industrial grinders. ISM safes such as their Super Treasury TL30x6 Burglary Safe withstand the most concentrated attacks by criminals even when they use the most sophisticated equipment. For example, among its many benefits, the Manipulation Proof Combination Lock is designed to defeat attack by automatic dialers. The thickness of the door is a thick layer of barrier material. The body is in one piece for extra protection and strength. AMSEC safes such as their CSC1413 Burglar and Fire Rated Safe is one of the industry standards for residential and commercial use. The door is constructed with a two-inch defense barrier of inner and outer steel plates. Solid steel chrome-plated locking bolts and dead bolts lock deep inside the body prevent door removal during a forced entry attempt. Heavy duty steel hinges, a tempered glass relock device, and other features add to the strength of the safe. Have peace of mind knowing that your valuables are protected from burglars and fire. Searching for a burglary safe for your home? Visit First Security Safe to order from one of the largest and most reliable safe providers since 1922.